I’ve already touched on the importance of bread in France. But the flour used to make the bread is perhaps as, if not more, important than how it’s made. 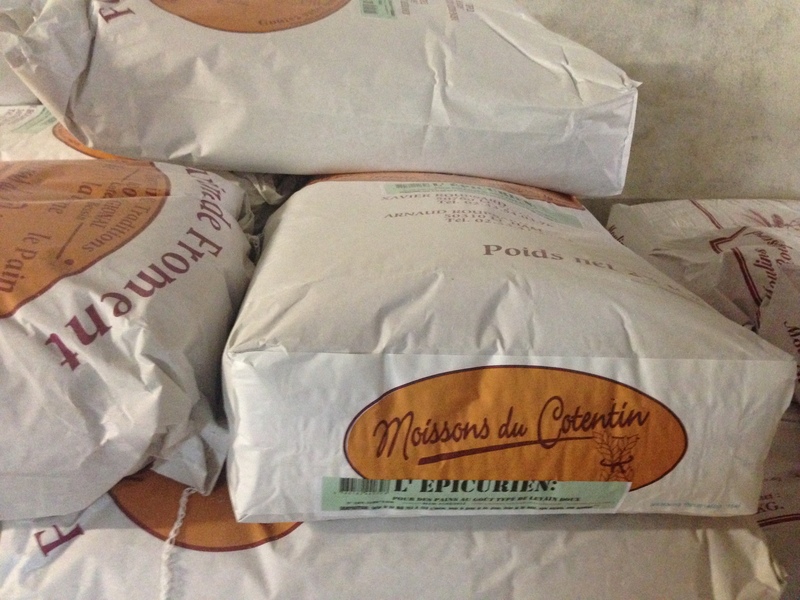 Artisanal bakeries have their sources for local flour, which, as you might imagine, they’re not big on disclosing. 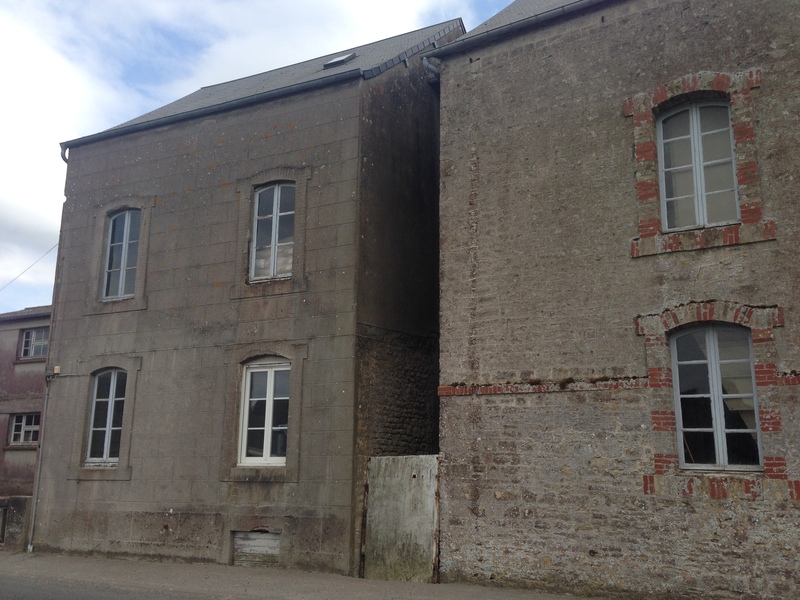 Although we didn’t visit any wheat fields, in Normandy visited a mill dating back to 1936, now run by the Roupsard family, to see how their wheat is processed. Arnaud and Xavier Roupsard come from a family of millers, starting with their great-grandmother. 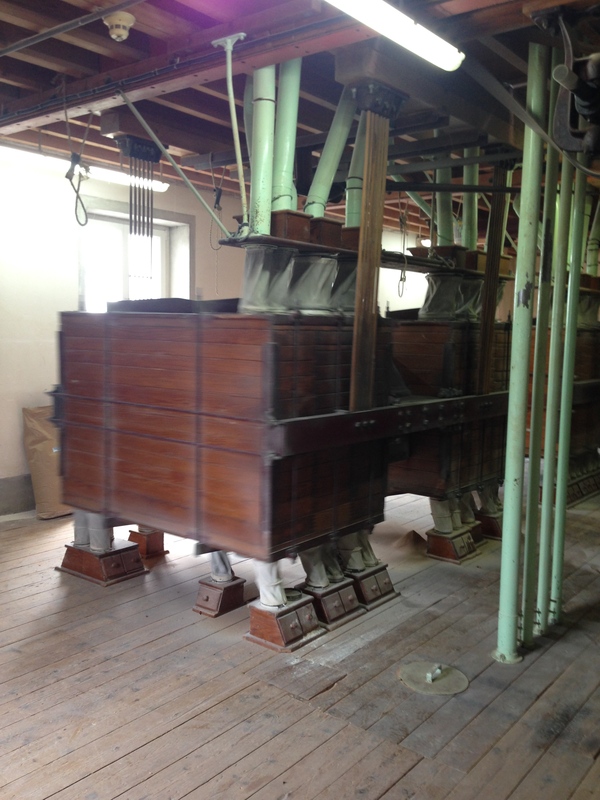 The family mill, which Xavier currently runs, is in Le Vicel. 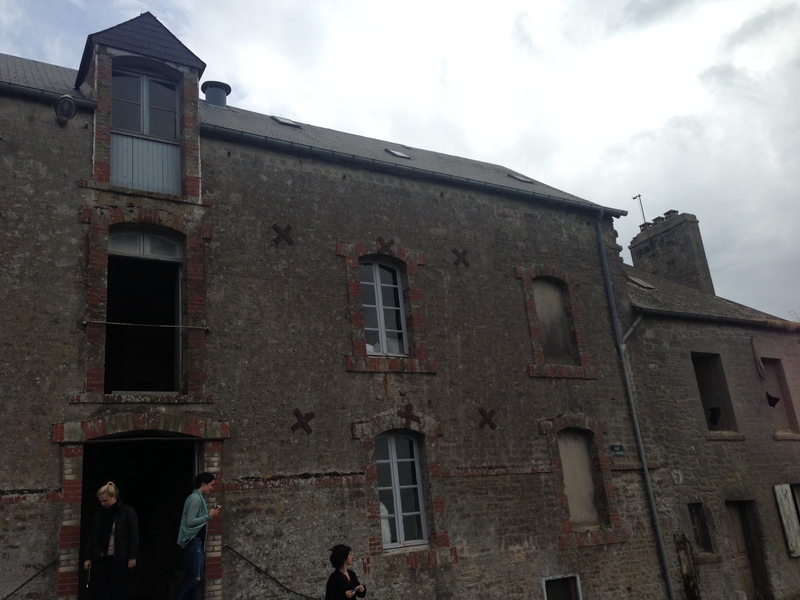 About 20 years ago, Arnaud purchased the mill we visited, which is 20 kms away in Le Ham. When you enter Arnaud’s mill, you’ll think you stepped back in time. It smells of wheat, old wood and hard work. 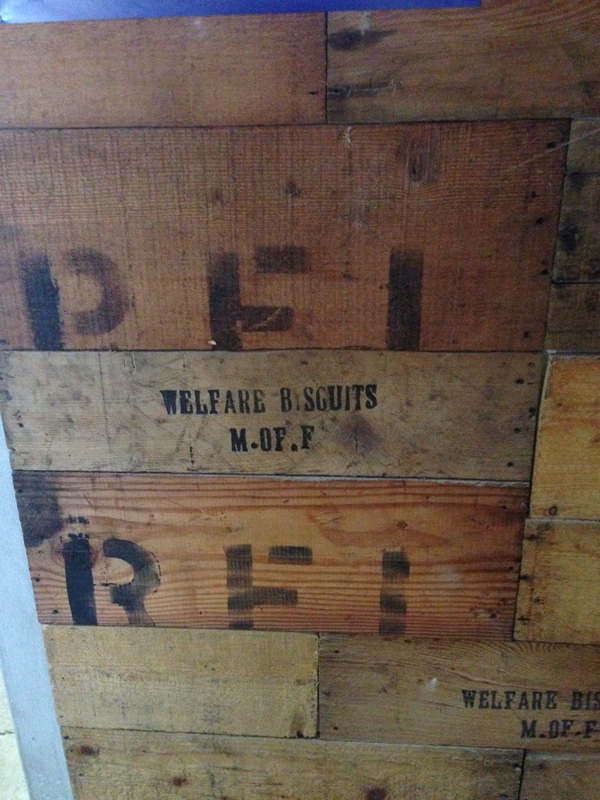 Boxes dropped by the U.S. during June of 1944 to feed the French during WWII are used as wall covering and seating. Arnaud told us the biscuits are still in there. 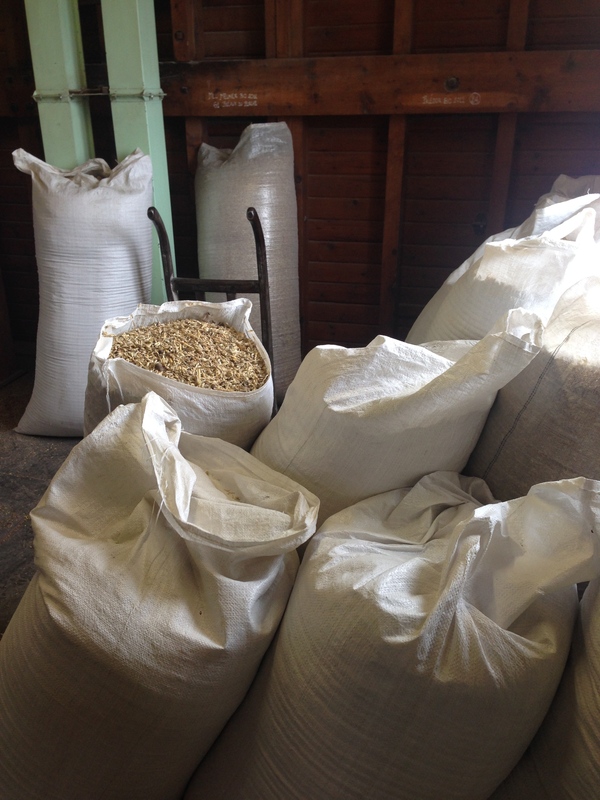 The process of milling has been consolidated among a few large companies, leaving few artisanal millers. The Roupsard family has to compete with this mass production to remain profitable. Since they stay true to the original process, using old machinery that cannot output as much as larger scale operations, the cost of their flour is higher. As Arnaud recognized, they need to differentiate themselves by focusing on local, quality ingredients. 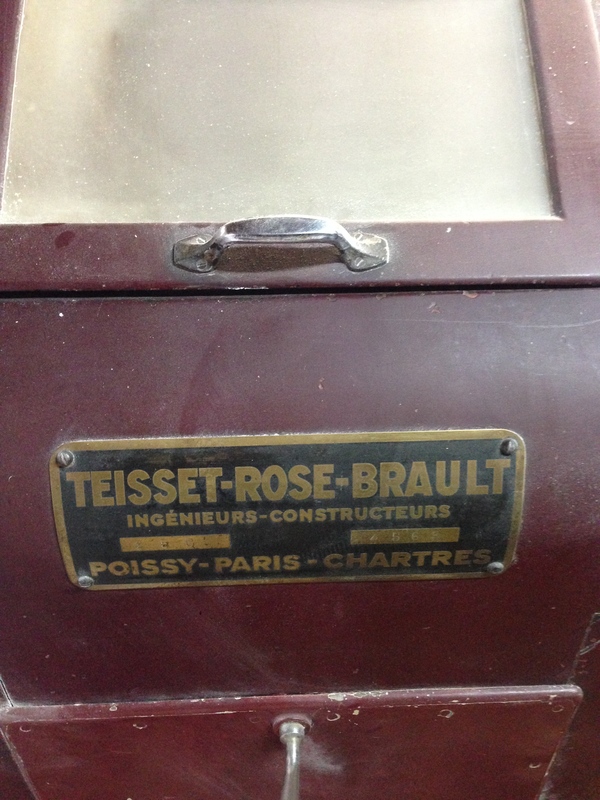 To be more accessible, they operate a boulangerie nearby where they offer demonstrations of the various types of flour they make, which also allows local customers the opportunity to taste the end result of their flour, and makes them some money too. 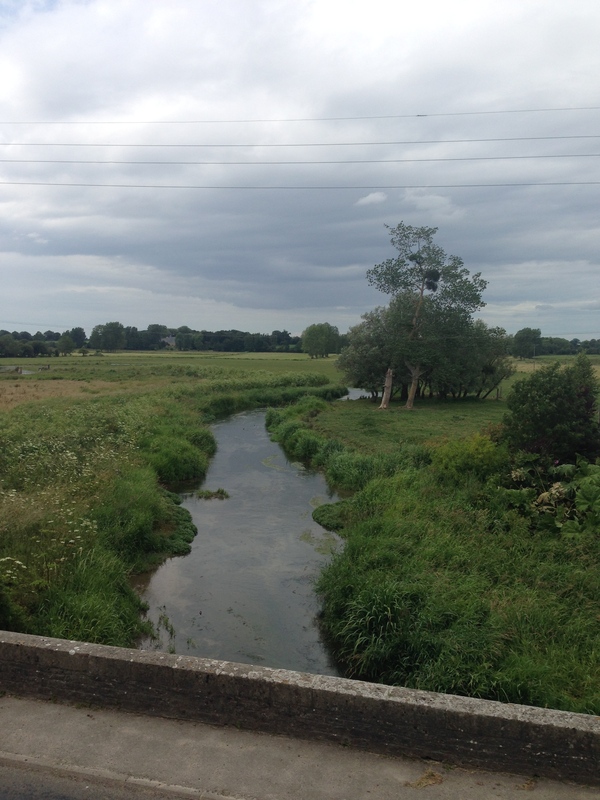 The Roupsards only use wheat that comes from the region, which is fertile from the abundance of water. There’s no system set up to support certified “organic” production – in case some care (I find certification highly overrated, but that’s for another day). 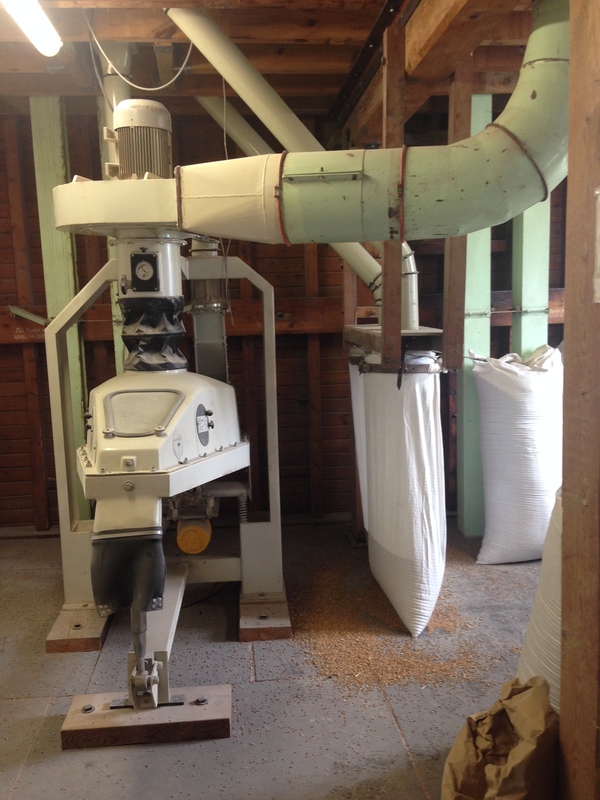 They process wheat and a little corn at the mill in Le Ham, which can produce 800 kg of flour in an hour with 6 machines. It goes from whole grain to wheat kernel, which is cleaned and ground. Then it’s passed through pipes before it’s sifted. 66 sieves fit into each box, with 1600 lbs per hour processed. 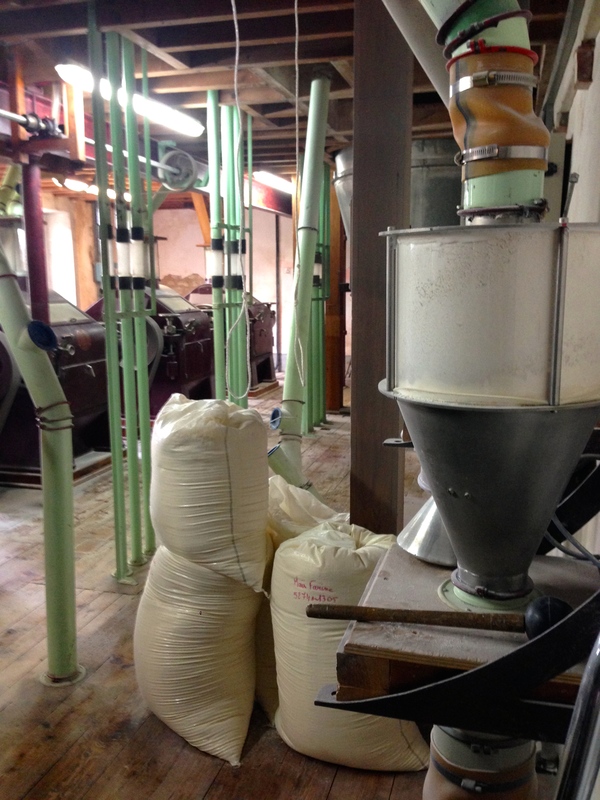 The flour is mixed in one of two mixers (one holds about 10 tons of flour, the other 20 tons). 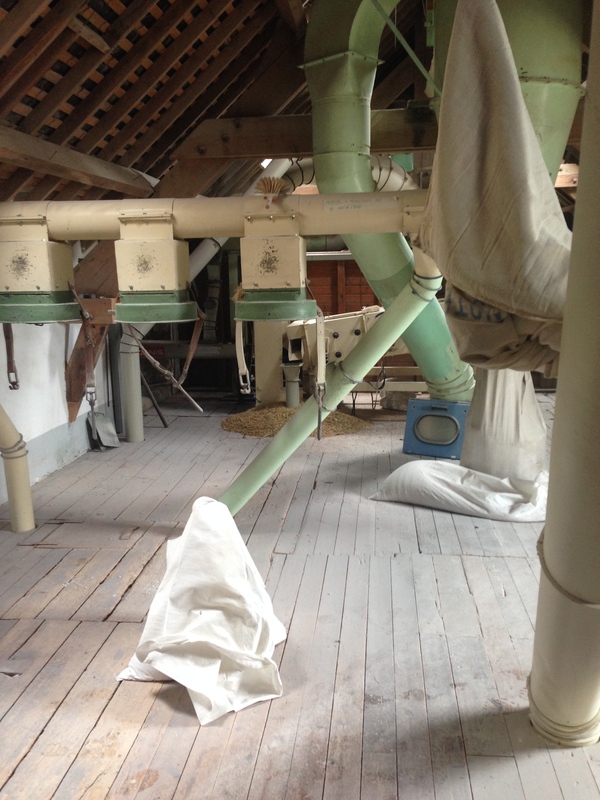 At the family mill in Le Vicel, Xavier makes stone ground flour, including rye, spelt and buckwheat. They also add a seed mixture to make it 7 grain bread, which consists of sesame, flaxseed and other seeds. 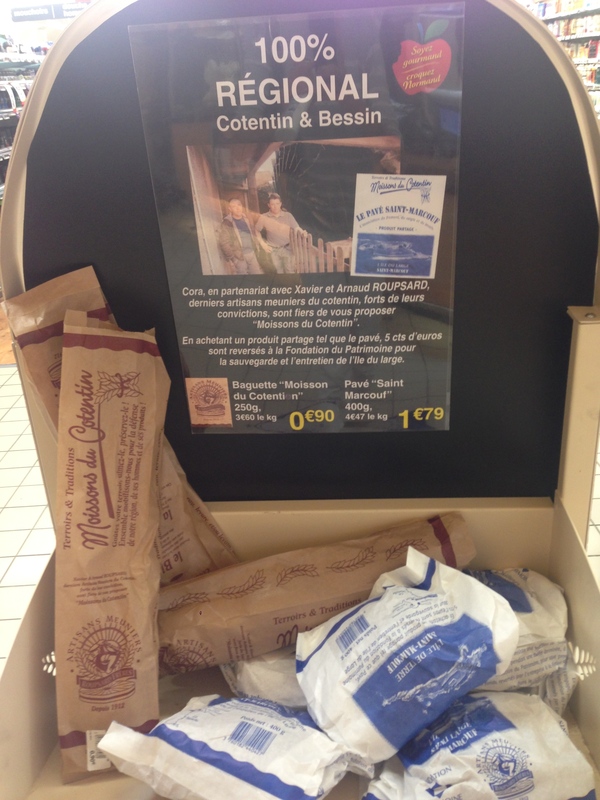 When we visited the local Carrefour supermarket, we were surprised and happy to see a display featuring breads from the Roupsard Brothers. Of course, we had to try it. The end result wasn’t as good as we hoped, but that most likely was because of the baking process and not the flour. They gave us some flour to take home, which I used to make some pasta, and it was great, but I don’t have much basis for flour comparison. 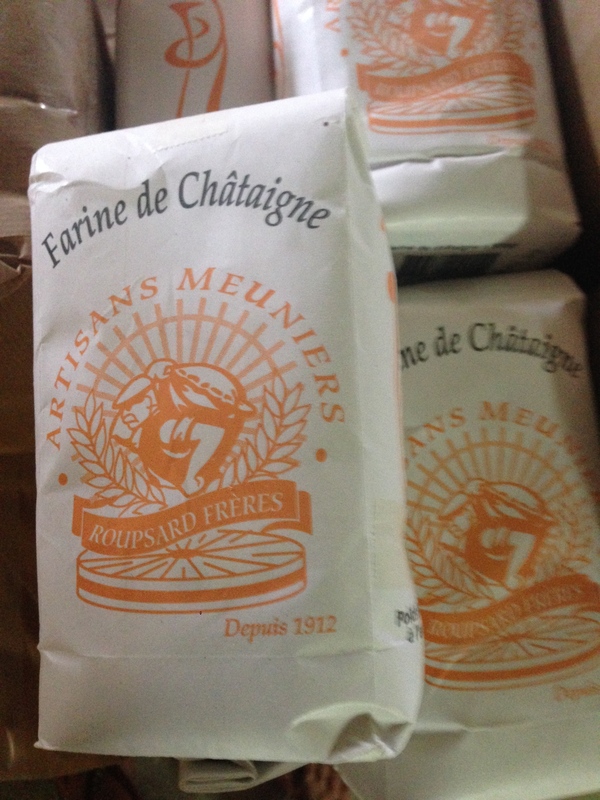 Whether it’s the best quality of flour or not, I’m thrilled to support what the Roupsard Freres are doing and help the movement for sustainable agriculture in the area.